What is the most important holiday? Mother’s Day, of course. We love the moms in our life and we have put together a list of local finds for every kind of mother, even those that say they don’t need anything. Also, know that you will have the added benefit of supporting local businesses during #smallbusinessweek. Shop local! Awesome Brooklyn has got gifts so awesome you will want them for yourself plus hilarious cards and excellent balloons! Mother’s Day cards have hit the shelves. Come early for the best selection. 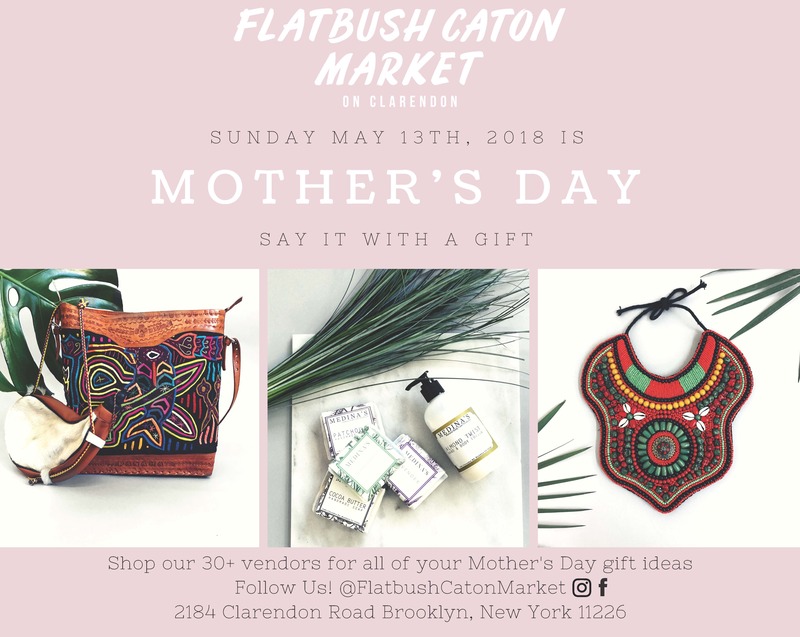 Treat yourself or your favorite lady to an in-store pampering experience on May 12th, 2018 from 12-3pm while you shop our 30+ vendors selling customized Mother’s Day plates and mugs, jewelry, hand poured candles, handmade soaps, fashion hats, and Calabash bags. Purchases over $50 are eligible for a free beauty service while purchases over $25 are eligible for a free “Mom-osa”. Find unique fair trade gifts & sustainable crafts at 21Tara: jewelry, apparel, accessories and home decor items crafted from recycled and natural materials. Brooklyn ARTery offers one-of-a-kind, affordable and fine quality handmade merchandise. Their mission is to inspire people to buy handmade merchandise and to support working artists. 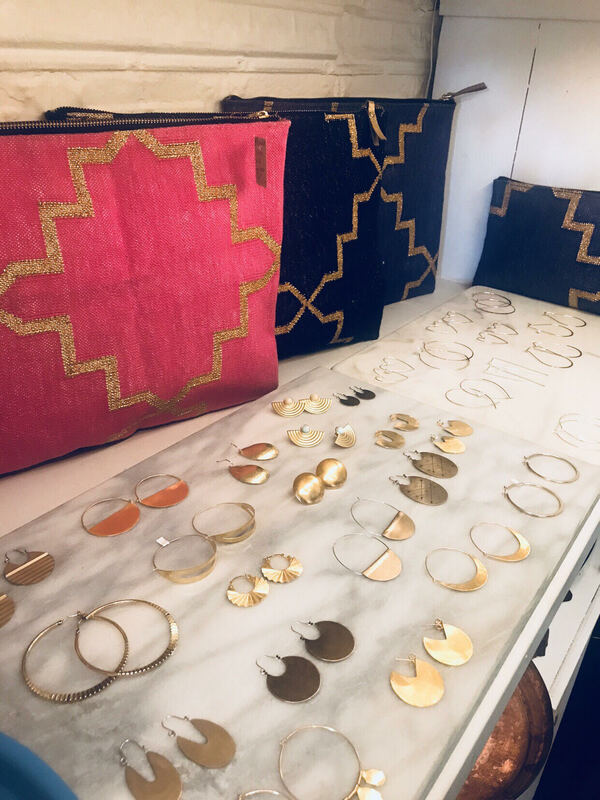 Here you will find a variety of goods from handbags and jewelry to reclaimed merchandise, artisanal food, home decor, housewares, health and green beauty products. Is there a zuzumom in your family? They are Zuzu’s petals‘ specialty. Call soon to place your order for pick up or delivery. 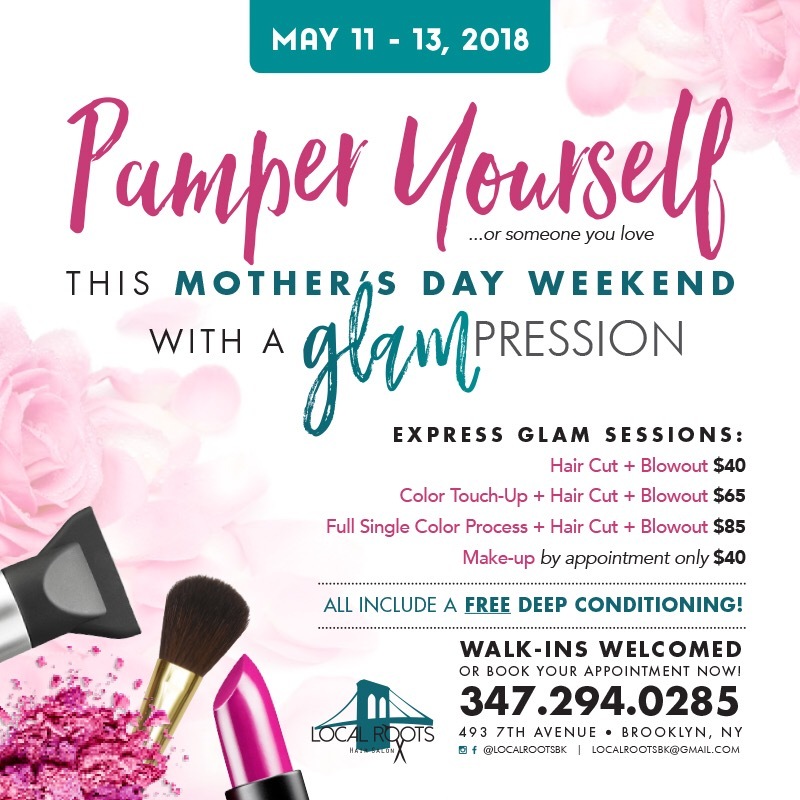 Book a Glampression at Local Roots – an express glam session. Celebrating you and helping you feel be•YOU•tiful! All packages include a FREE deep conditioning treatment. 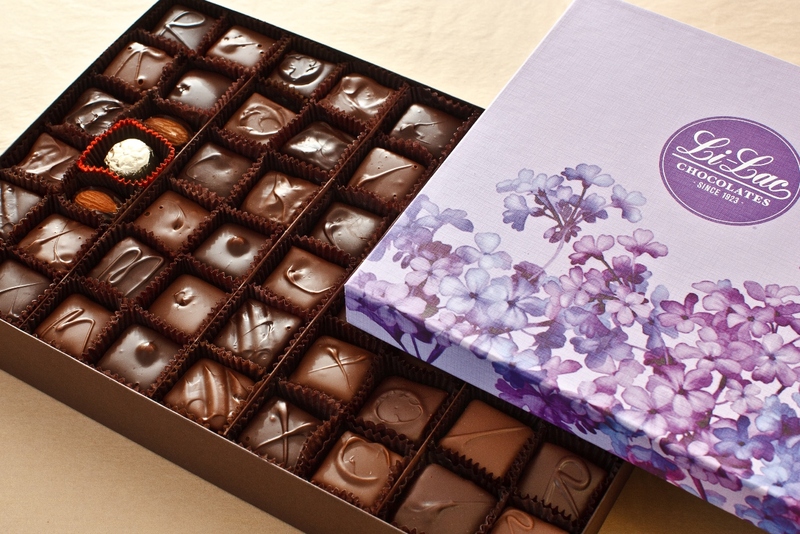 Discover Li-Lac Gourmet Chocolate and Specialty Gifts for Mother’s Day! 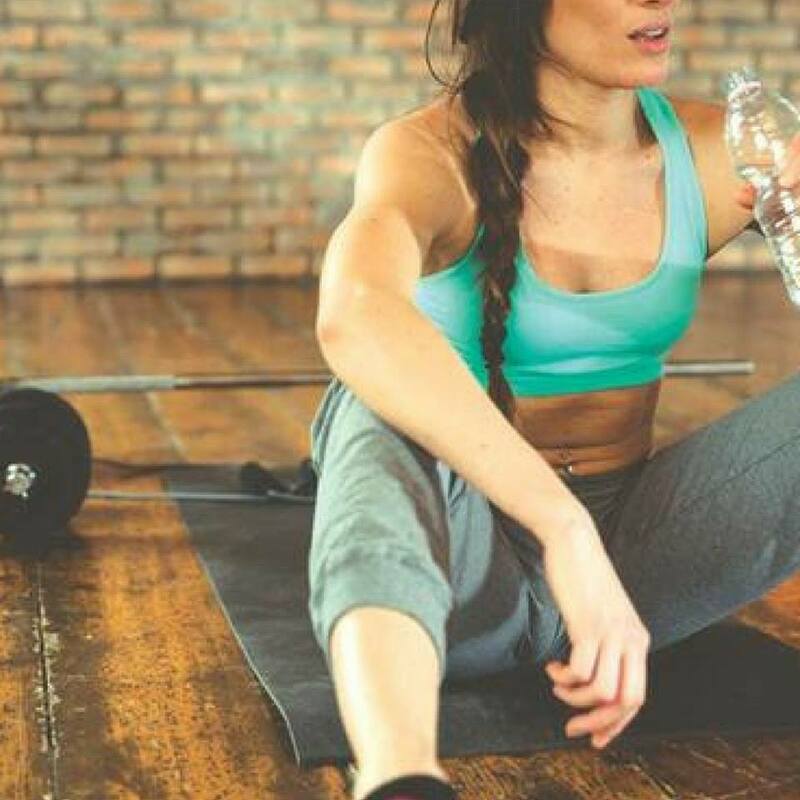 SevenBell Fitness is Brooklyn’s number one private gym and premiere training experience! This is a perfect gift for a new mother looking to lose a bit of baby weight or a veteran mommy looking to be treated to something for herself. Come in and try one of their assessments to take the first steps toward building your future in fitness! 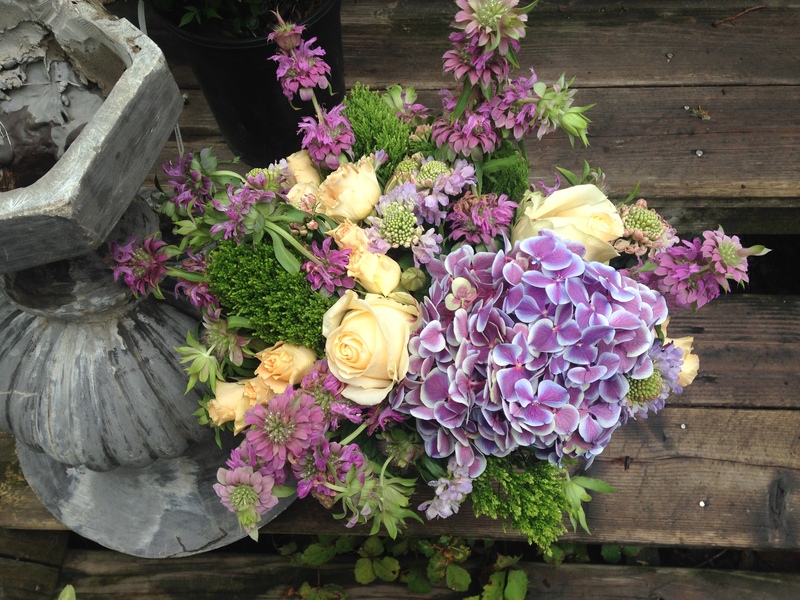 Serving Brooklyn, Manhattan and Queens area with free delivery on orders over $150. Get responsibly sourced, perfectly prepared meals sent right to your mom’s door! Choose her dietary restrictions and let Get Fed do the rest or built her own pack. Get Fed is a meaningful gift for your mom. 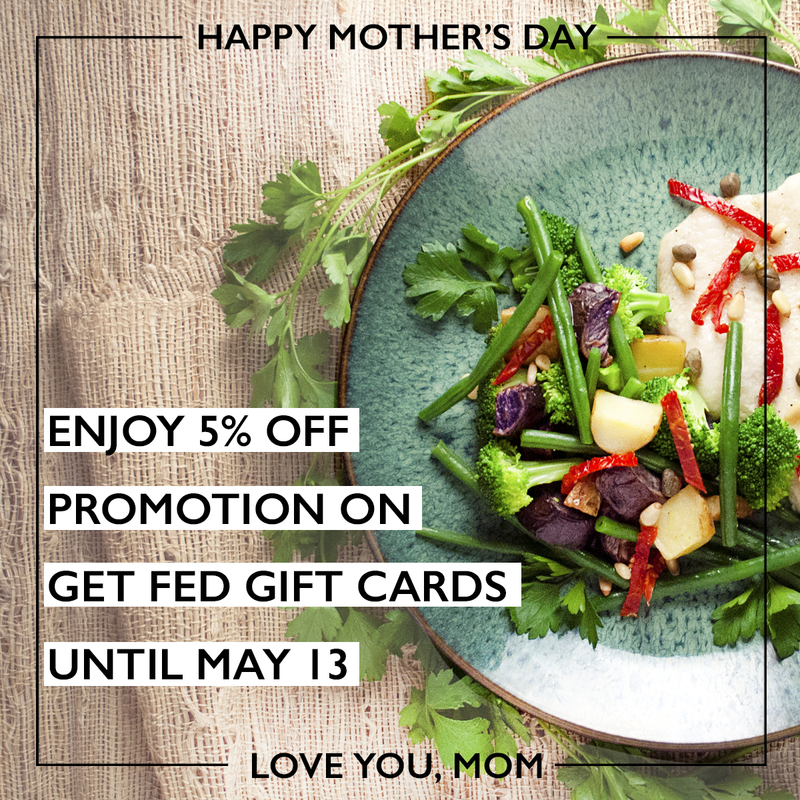 Even better enjoy 5% off promotion on Get Fed Gift Card for Mother’s Day until May 13. Catbird is a jewelry shop in Williamsburg where the focus is local designers. 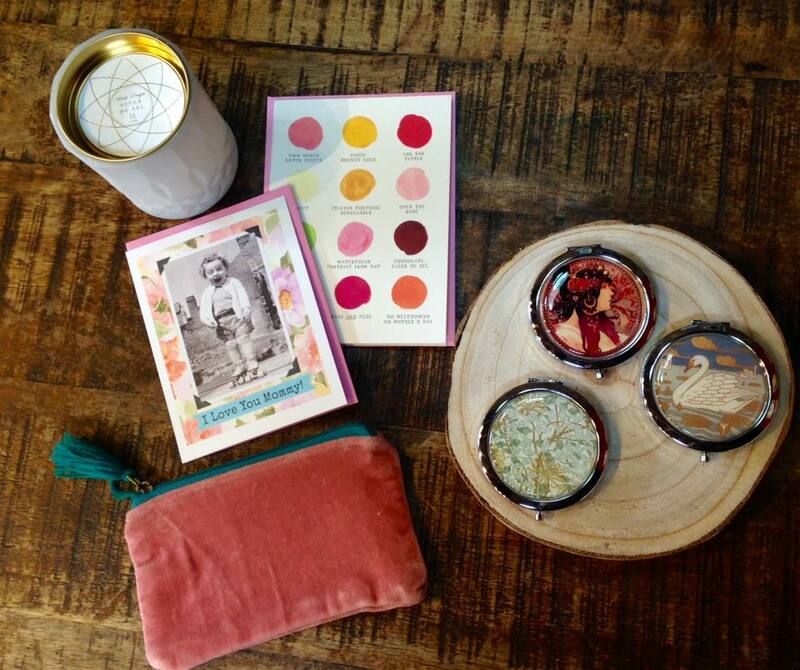 The store also offers beauty products, trinkets for your home, illustrations, candles (including their own line! ), cards, hats, banners and tons of other delicious goodies! 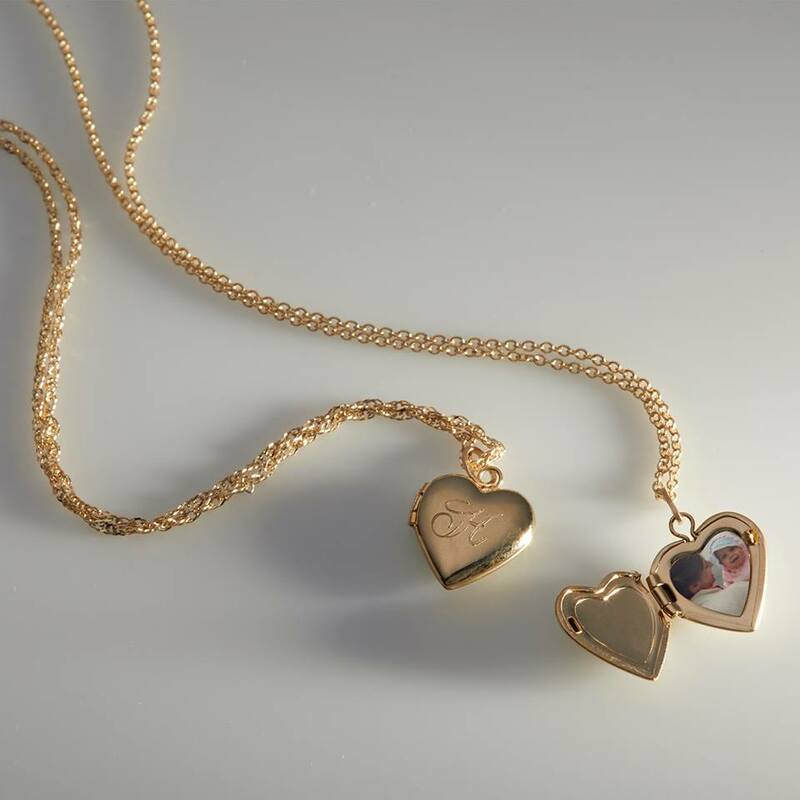 Treat your mom to a special piece she will treasure for years to come! It doesn’t matter what age or skill level you are, the right gift can inspire any person to create. 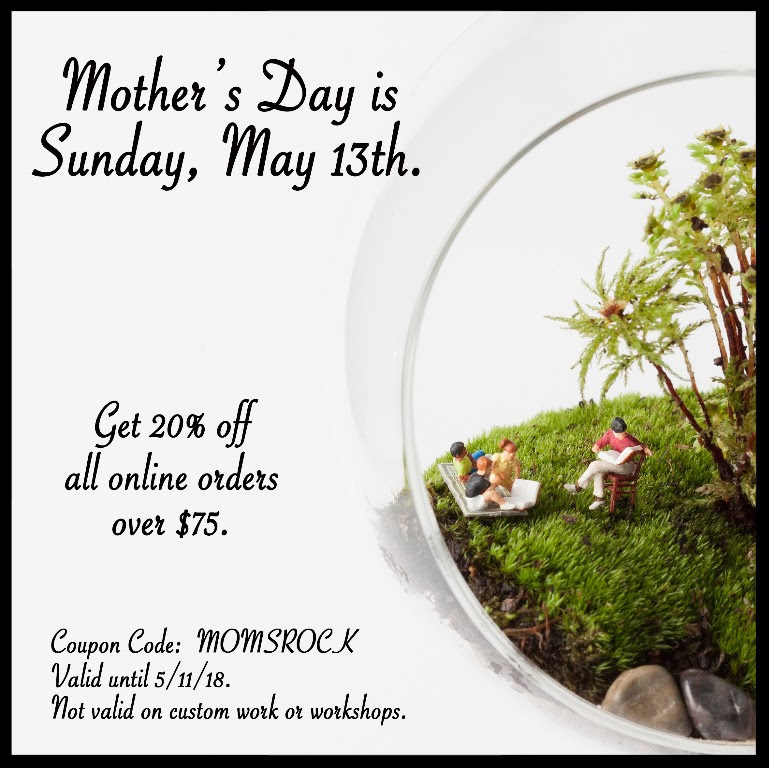 So if there’s an artist mom in your life, make sure you give her something that will help her further her craft. 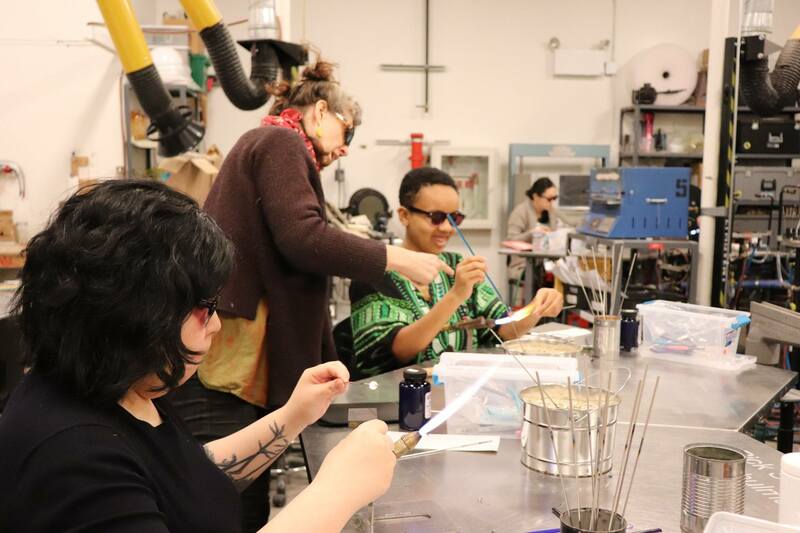 Classes and workshops at UrbanGlass offer students of all ages the opportunity to explore the endless possibilities of glass: from Introduction to Glassblowing to Masterclass in Glass Casting & Fabrication. Whether your mom is a beginner in the kitchen or an experienced master chief, a cooking class might be a great gift idea! 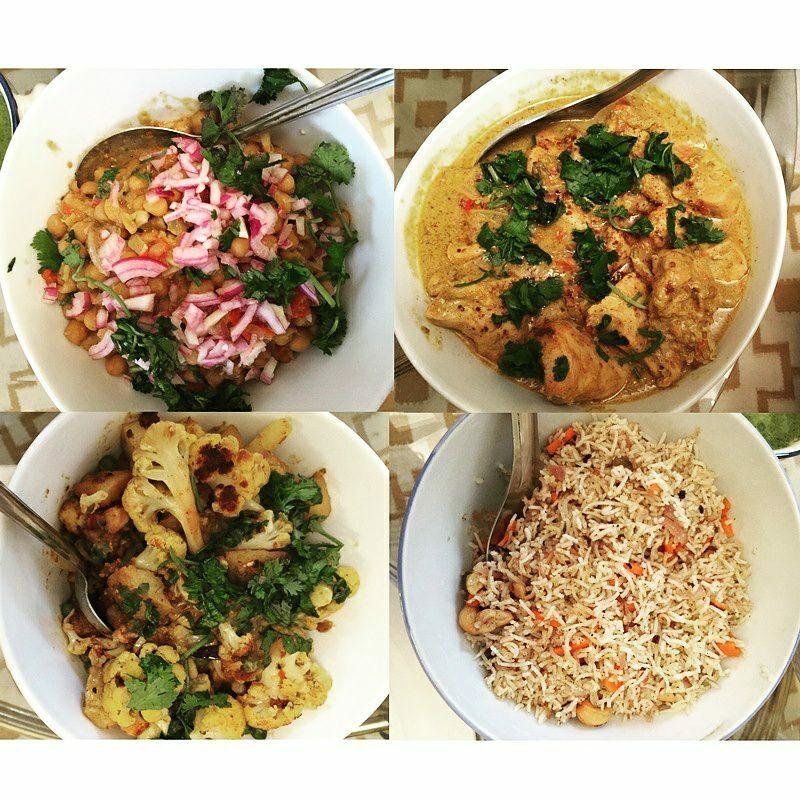 Learn how to make many vibrant, healthful Indian dishes such as Chana Masala (top left corner), Chicken Tikki Masala (top right corner), Aloo Gobi (bottom left corner), and Vegetable Pulao (bottom right corner) with Brooklyn’s Mukti’s Kitchen. Come to Mukti’s Kitchen to learn how to cook an entire meal or just one special dish. Let Mukti teach you the basics of healthy Indian-style cooking, from the names and special characteristics of Indian spices to the secrets that will give you the best flavor. Gift certificates are available. On Mother’s Day we should thank mom for all she’s done to keep us alive and relatively well-adjusted—this special workshop does just that! This succulent terrarium workshop is priced for two, and includes a catered brunch (courtesy of Catskill Bagels) right in the Twig Terrariums studio! The Twig experts will provide info on what makes a healthy terrarium, hands-on experience on how to create one, and tips and tricks to miniscaping your own little green world! Each person will create their own terrarium using various cultivars of succulents to create a lush, hardy planter that loves sunlight and thrives on neglect. Twig will provide all the ingredients, including an adorable little person or animal to live inside, and a care sheet for each of you to take home with your nifty new terrarium. 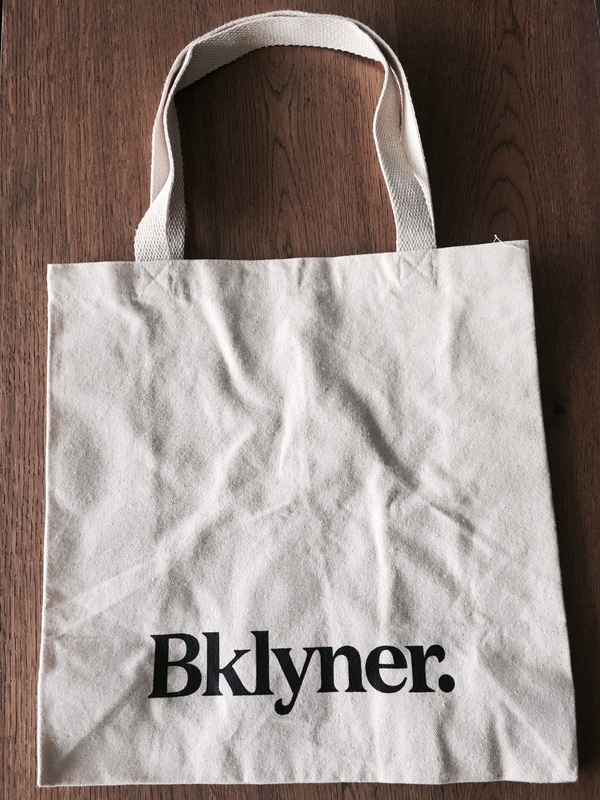 Last but not least on our list – Bklyner Subscription and matching Tote. Does the mom in your life pride herself on being in-the-know? Consider a gift subscription to Bklyner. Each subscription supports independent local reporting and keeps Brooklynites informed on the latest news, where to eat & drink and what to do this weekend. You can add a Bklyner Canvas Tote to let others know that she is a proud Brooklyner.